I have been using this data for like 3weeks , Want my fans to enjoy too! 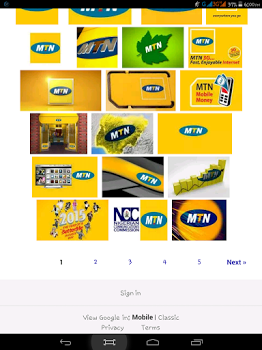 ==> First of all, Migrate to MTN VSF POWER PLAN by dial *444*1*4*1#. After you successfully migrate. 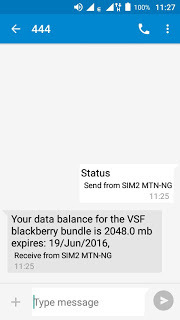 ==> dial *444*2*4*2*1*1# to get your BLACKBERRY BES STAFF 2GB DATA. HOW CAN I CHECK MY DATA BALANCE ? Go to your text message, Type STATUS to 444. To view your data balance. Android users should use the below settings, bb users don't need to as the MB is for bb..
Use the following bb imei, and tweak it. Care to join our WhatsApp Group?? Drop your phone number! !